Exclusively Ours! Lead & Nickel Free Necklace Assortment Includes Up To Four Different Necklaces With Color Beaded & Dyed Strand Cords. From The Center Of Each Hangs A Dyed, Genuine Shell Square. Each Necklace Includes A Matching Pair Of Fishhook Wire Earrings. 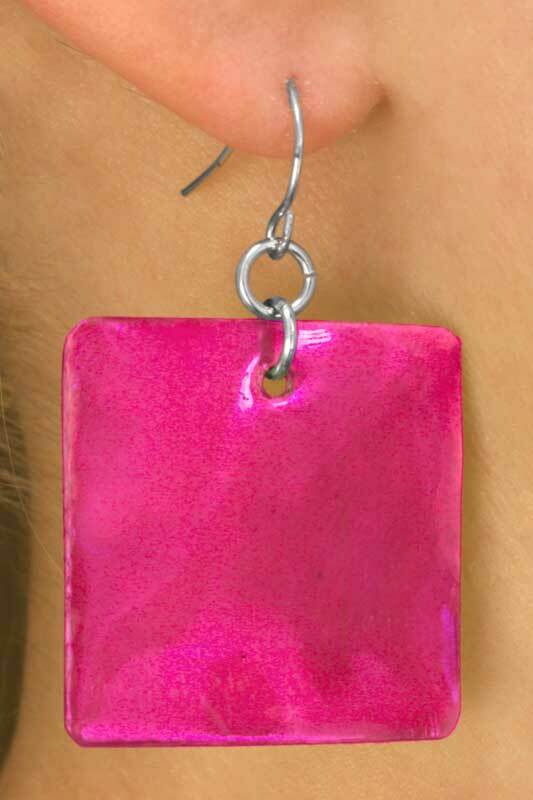 Earrings Measure 2"L x 1 1/4"W.
Sold In An Assortment Only! Scroll Down For A View Of Each Color & Matching Earrings. To Receive At Least One Of Each Color, You Must Purchase At Least Four! Colors Will Be Chosen By Our Staff Based On Availability & Amount Purchased!